What Do Those Crazy Care Symbols Mean? We have all seen those crazy hieroglyphics on our clothing care labels! It is required by law to have care labels in the clothes that we buy, but to become more universal, we've become more confusing. 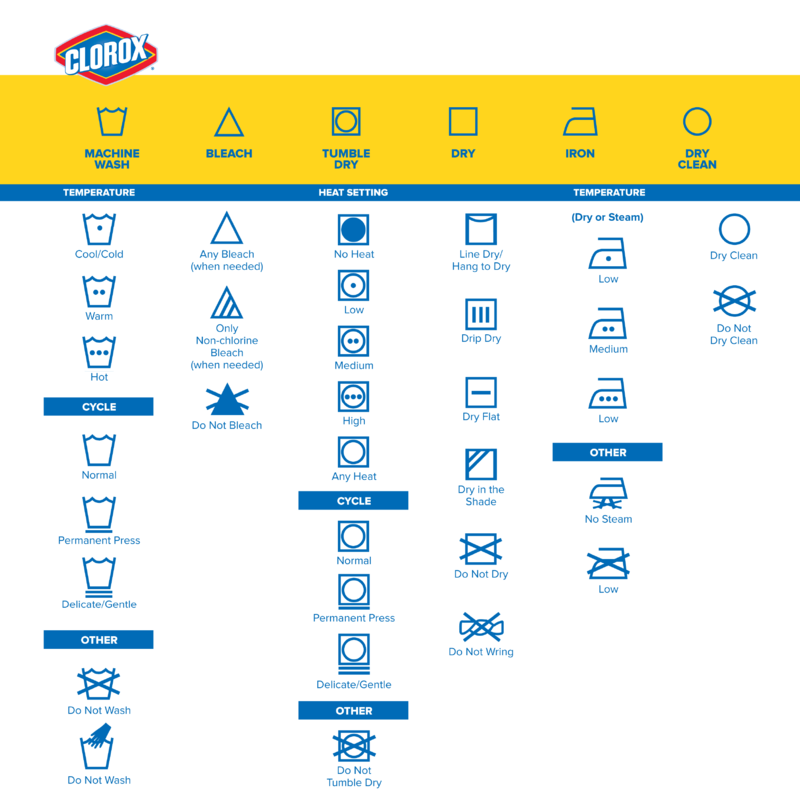 Clorox put together a great guide to the common symbols and what they mean. Check out their website for more great cleaning tips!